I think it is human nature to mark time, to have certain events or images that re-occur and yet are different each time, making such experiences evocative of previous ones; things like holidays, anniversaries, reunions. Time passes and things change, people enter and exit our lives, sometimes quietly and sometimes not-so-quietly. .Ice cream, you ask? Yes, ice cream. 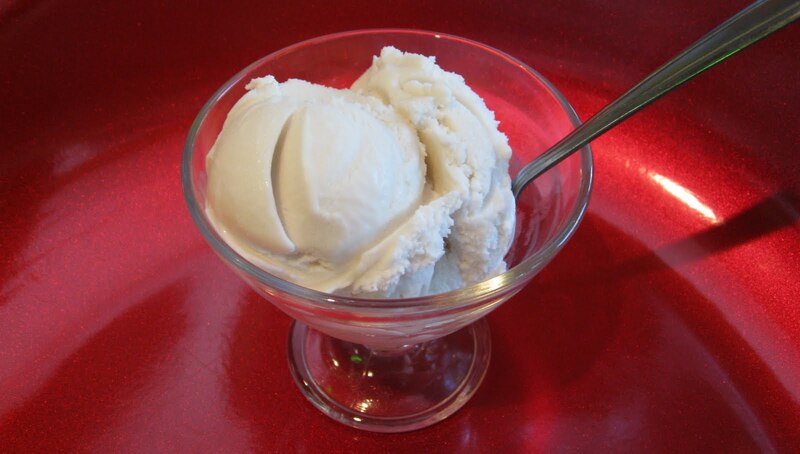 Ice cream is one of those evocative triggers. Think back to the music of the ice cream truck and the joyful cries and sounds of running children that usually accompany it. Or remember your childhood birthday parties, culminating in the eating of cake and ice cream. Or the times your parents or grandparents would suggest taking you out for ice cream as a special treat, or to mark the end of an important day. You need look no further than the line leading out of Mallard's on a summer evening in Bellingham to realize the importance of ice cream in celebrating life's special moments. And of course, being vegan, I am not speaking literally about ice cream, but rather the associations that are tied to it. And although I would never knock the joys of consuming Soy Delicious straight out of a pint carton with a spoon in the comfort of my own home, I am so happy that Mallard Ice Cream has not forgotten the vegans in Bellingham, and that they have made it possible for us to enjoy the pleasures of consuming a delicious treat in the company of our friends and family. So the next time you are looking for a way to add a little of that special breezy summer-time feeling to your day, try going to Mallard's for one of their delicious vegan ice's. With a luxurious creamy coconut base, the rich flavors will melt in your mouth as all your worries simultaneously melt away. Or try one of their more unique flavors, like the apricot tamarind cayenne, a little sweet and sour to wake up your taste buds. Half the fun is seeing what flavors are available for you to choose from, and it is nice to have not only an option, but an actual choice. The last time I was at Mallard's , there were five different delicious-sounding vegan flavors listed on the board. It makes choosing a bit of a problem, but that's the kind of problem I like. ooh! I didn't know they were making ices now. I've only had their sorbets. 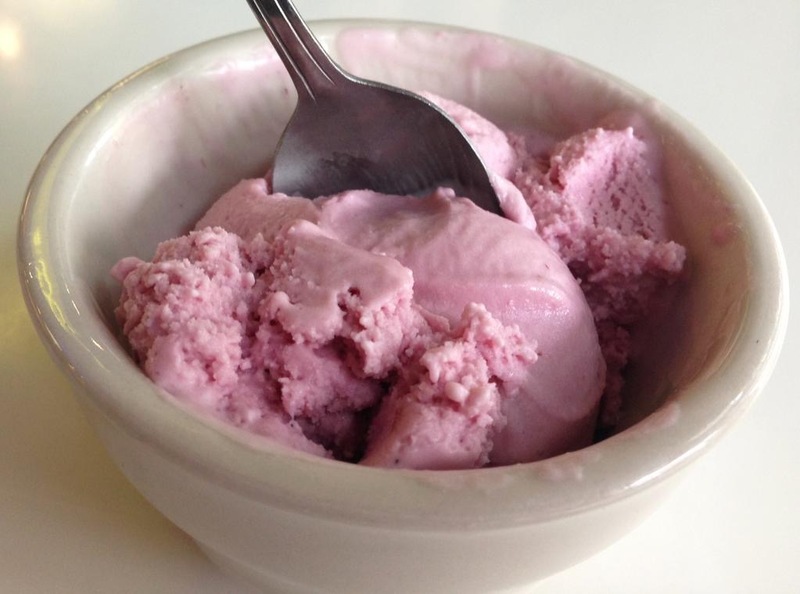 Have you had the sorbetto at Sirena's in Fairhaven yet? They are also awesome. What a timely post! Everyone from my work will be descending on Mallard's this afternoon, for a belated birthday celebration. I'm really looking forward to it! I went to Sirena's once a long time ago and have been meaning to go back so I can feature them. Thanks for reminding me! I like that place a lot. I hope you had fun at Mallard's Trish! I am looking forward to the next vegan dine-out. The date is tentatively set for Saturday July 31st. I will drop you guys emails with details, and I will also mention it in a blog post soon. I am definitely going to have to check this out! I also wanted to tell you that I had dinner at Nimbus last week and not only was the food delicious the chef is MORE than willing to make you a vegan meal. They were so nice about it - if you haven't gone there do check it out sometime. It was a fantastic meal!! I have heard good things about Nimbus from Vegan Dogs, and what you say also confirms what she told me. I will definitely have to check them out! I have been to Sirena's before. It was really good. It's been a while, but it was good. I had the same experience at Nimbus. I went there for my birthday last year. They had a vegetarian item on their menu they could make vegan or they said they could make something special for me. I went with the veganized menu option. It was excellent. They even put together a special vegan dessert for me since it was my birthday. I am definitely going to have to check out Nimbus--I have heard so many good things about them.